Código interno: 400352. Brazo suspension superior delantero derecho MG ROVER SERIE 45 1.6 16V, Año: 2000. Wir können es überprüfen. Nous pouvons le vérifier. Código interno: 249066. Brazo suspension superior delantero derecho MG ROVER SERIE 400 1.4 16V, Año: 1995. Wir können es überprüfen. Nous pouvons le vérifier. Part Number: RBX500291. Suitable for all Discovery 3 models. FREE CARRIAGE APPLIES TO MAINLAND UK ONLY. Pictures are for reference only and specifications may alter without notice. Product specifications are given but it is up to the end user to ensure that the product is fit for that purpose. Front Bottom Link for Rover 2000/2200/3500 P6. Front Suspension Bottom Link for Rover 2000/2200/3500 P6. We're not sure whether its left or right. Land Rover Discovery 3 & 4, (2004-2016). Discovery 3 & 4 Rear Upper Arm Kits. Land Rover Parts & Accessories. Land Rover Parts. Discovery Parts. Series 2 & 3 - Defender 90/110/130, Discovery 1,2,3,4,5 & Sport - Freelander 1 & 2 - Range Rover Classic, P38, L322, L405, Sport & Evoque. Castor Correction Radius Arms. Qt / Wildbear 6 Degree Narrow 38mm. Defender up to 1993. Range Rover Classic up to 1985 ( will need to fit later rear bushes). Range Rover IV/Mk4 L405 2012>> Onwards. Land Rover. Land Rover Discovery V/Mk5 2016>> Onwards. Ranger Rover Sport LW/L494 2013>> Onwards. Fitting Position : Front Lower Left & Right. Direct 2 Public. The best way to check compatibility is to check the Part Number on your old unit if possible. Código interno: 940155. Brazo suspension superior delantero derecho LAND ROVER RANGE ROVER SPORT v6 td hse, Año: 2013. Referencia : LR063711. Wir können es überprüfen. Nous pouvons le vérifier. Model: Range Rover Evoque L538 SUV. 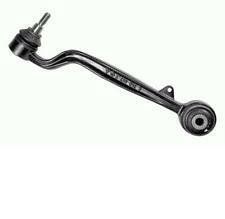 Product: Front Lower Wishbone. Includes Or Excludes Rear Bush: Included. Left hand drive cars have door mirrors fitted at a slightly different angle therefore creating the chances for blind spots if fitted incorrectly. MG ZT ALL MODELS. 2 X NEW LOWER WISHBONE ARM REAR BUSHES. ROVER 75 1.8 2.0 2.0TD 1.8T 2.5 ALL MODELS 1999 ON. MINTEX-CTECH,EBC BRAKES, MAHLE FILTERS -NGK SPARK PLUGS-HIGH VOLT IGNITION,BREMBO,FIRSTLINE SUSPENSION,QH PRODUCTS,FUEL PARTS. Rover 75 MGZT Front Suspension Shock Absorber to Hub Bolts a pair. Genuine MG Rover. Part Number RYG000500. GT MG SPARES LTD. UNIT 1 OLD HALL INDUSTRIAL ESTATE. Part Number: DA5504. Land Rover Discovery 1 Heavy Duty Steering Bars. FREE CARRIAGE APPLIES TO MAINLAND UK ONLY. These are the answer. These are solid bars that have a zinc plated finish to help prevent corrosion. Part numbers: LR051622 / LR010523 - Best quality unit! Classic Mini Front Suspension Tie Rod Bar Nut & Washer Kit. This sale is for TWO nuts, TWO flat washers and TWO cup washers. Kit is to do both sides of the car. We are Minimine Ltd, from Stoke-on-Trent, we have been trading in Mini parts and accessories since the early 1990's. 1 X Left Hand 1 X Right Hand. Part Number: RBX500311. Suitable for all Discovery 3 models. FREE CARRIAGE APPLIES TO MAINLAND UK ONLY. Pictures are for reference only and specifications may alter without notice. Product specifications are given but it is up to the end user to ensure that the product is fit for that purpose. By Karlmann. 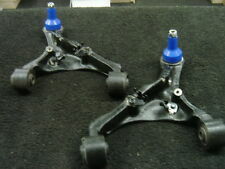 Rear Trailing Arm Bushs x2. 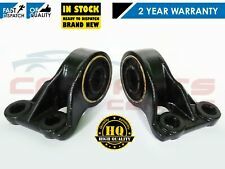 You are purchasing 2 Rear trailing arm bushs. ROVER 200 400 | MG ZR ZS. All international parcels will be boxed and very well secured. (Fits left & right ). A new adjustable panhard rod including polyurathaine bushes. Wheel Nuts Hi lift jacks & Acc. Tyres Safari Snorkes Defender Parts Discovery Parts Range Rover Parts Wheels Tools Gift Ideas Series Discovery 1 89-93 Discovery 1 94-98 Discovery 2 99-04 Range Rover Classic Range Rover P38 Range Rover l322 Freelander Discovery 3 Defender 90 & 110. Cranked rear radius arms allow more suspension drop out on the rear of Defenders, Discovery 1s and Range Rover Classics. 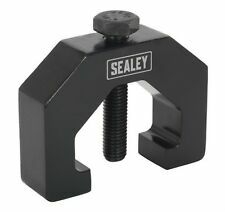 These arms are supplied as a pair complete with axle end bushes and nylock retaining nuts. Castor Correction Radius Arms. Qt / Wildbear 6 Degree Wide 45mm. Defender 93 onward. Discovery 1 1989 to 1998. Range Rover Classic 86 Onward. 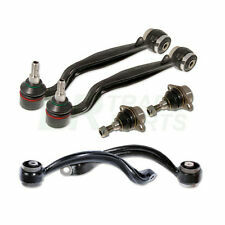 Land Rover Freelander 2 Front Lower Suspension Arms. Land Rover Freelander 2, All Models. Freelander Parts. Series 2 & 3 - Defender 90/110/130, Discovery 1,2,3,4,5 & Sport - Freelander 1 & 2 - Range Rover Classic, P38, L322, L405, Sport & Evoque. Range Rover IV/Mk4 L405 2012>> Onwards. Land Rover. Land Rover Discovery V/Mk5 2016>> Onwards. R Ranger Rover Sport LW/L494 2013>> Onwards. Fitting Position : Front Right Lower / Driver Side. Direct 2 Public. 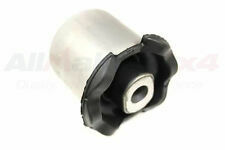 2 x Rear Trailing Arm Lower Links & Bushes LR049068. Includes Bushes ready pressed with nuts and bolts. 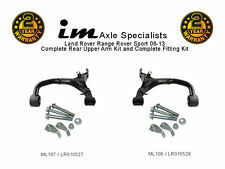 Defender Rear Trailing Arm Kit. Land Rover New Rear Trailing Arm Lower Link Kit. 2 x Rear Trailing Arm to Axle Bolts BH610321L. Our custom made joints do not require any chassis modification to fit and are fully re-buildable greasable adjustable and sealed. So long as your shock absorbers have enough travel - X-Arms could give you up to 45 degrees of axle articulation (The trailing arm can move up 10 degrees and down 35 degrees from its normal position). 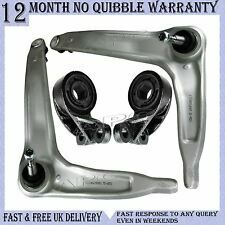 1 x FRONT LEFT LOWER SUSPENSION ARM [ BOLTS KIT INCLUDED ] OE QUALITY 2 YEAR WARRANTY 1 x FRONT RIGHT LOWER SUSPENSION ARM[ BOLTS KIT INCLUDED ] OE QUALITY 2 YEAR WARRANTY FITS LAND ROVER DISCOVERY 3 2004-2009 LAND ROVER DISCOVERY MK3 4.0 4X4 218 BHP LAND ROVER DISCOVERY MK3 4.0 V6 4X4 218 BHP LAND ROVER DISCOVERY MK3 4.0 4X4 219 BHP LAND ROVER DISCOVERY MK3 4.4. 4X4 299 BHP LAND ROVER DISCOVERY MK3 2.7 TD 4X4 190 BHP PLEASE LEAVE VEHICLE REGISTRATION NUMBER AFTER PURCHASE TO AVOID ANY DELAYS IN THE DELIVERY PROCESS!. Note: Front Lower Suspension Wishbones. Make: Land Rover. Model: Discovery 3. S hipping: Fast and Free (UK Mainland). Position on Vehicle: Front Lower Pair Left & Right. Year: 11/2004-04/2010. You can use us for headlights, rear lights, door mirrors, mirror glass and covers as well as a constantly developing range of performance lighting. Land Rover Freelander 1 L314 Front Lower Wishbone Bush Freelander 1 L314 1996 - 2006 : All Models To VIN YA999999 BRITPART Part No. ANR6109. Note: Front Lower Suspension Wishbones. Year: 08/2009-12/2017. Make: Land Rover. Model: Discovery 4. S hipping: Fast and Free (UK Mainland). Position on Vehicle: Front Lower Pair Left & Right. You can use us for headlights, rear lights, door mirrors, mirror glass and covers as well as a constantly developing range of performance lighting. RANGE ROVER L322. Suitable for: Range Rover L322 Models (2002-2012). 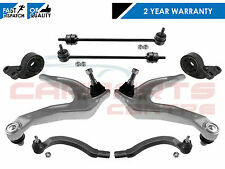 - 2x Front Upper Outer Ball Joints (Pair). Recovery 4x4 are authorised distributors for Allmakes 4x4, Bearmach and Britpart Land Rover parts and accessories. Manufacturers part numbers are used for reference purposes only. 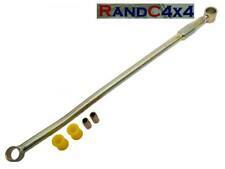 This is a Heavy Duty Panhard Rod for the following vehicles -. Range Rover Classic up to 1998. Land Rover Defender, all models up to 2002. Referencia : LR051617. -Búscanos en: Camino de la Estación n 15, Catral (Alicante). -Horario: 08: 30 - 14: 00 y de 16: 00 - 20: 00. Ofrecemos atención rápida, personalizada y envíos a toda España. Fitting Position: Right; Fitting Position: Lower; Fitting Position: Front Axle; Fitting Position: Left. 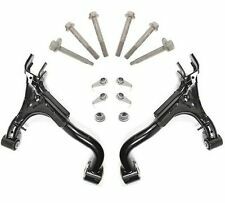 1 x FRONT LEFT UPPER SUSPENSION CONTROL ARM 1 x FRONT RIGHT UPPER SUSPENSION CONTROL ARM FITS RANGE ROVER SPORT 2005-2011. MG ZT AND ZT-T ALL MODELS. 2 X NEW LOWER WISHBONE ARM REAR BUSHES. ROVER 75 1.8 2.0 2.0TD 1.8T 2.5 ALL MODELS 1999 ON. MINTEX-CTECH,EBC BRAKES, MAHLE FILTERS -NGK SPARK PLUGS-HIGH VOLT IGNITION,BREMBO,FIRSTLINE SUSPENSION,QH PRODUCTS,FUEL PARTS. RRS Rear Upper RHS Arm Kit. 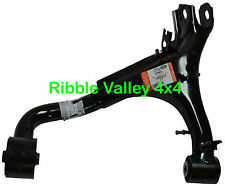 Range Rover Sport New Rear RHS Upper Suspension Arm Kit. Land Rover Parts. Range Rover Parts. Range Rover Sport MK1, (2005-2013). 1x Complete Fitting Kit (Required When Fitting).